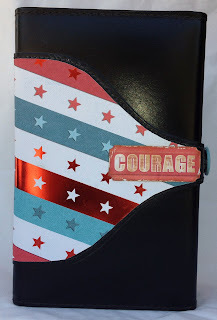 This week's Design Team projects were completed by Nina using the Red, White & Blue I Want It All! Full Collection Bundle from We R Memory Keepers. 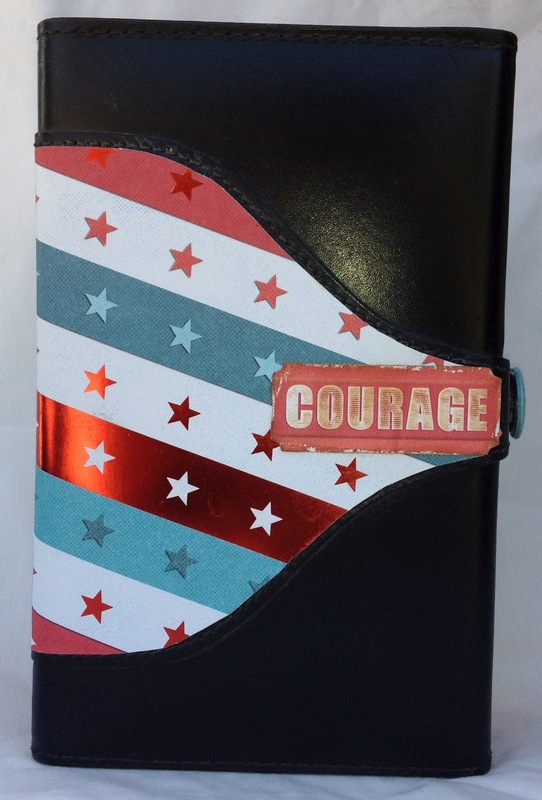 She has created a variety of items using this patriotic collection. Don't miss her tutorial on creating a heartwarming Welcome Home card! 1. Start by taking a solid blue sheet from this collection and cut into 6x6 and fold in half. Ink up edges of card using We R Memory Sweetheart Inker in brown. 2. Take the airplane clear stamp and We R Memory Sweetheart Inker in brown and stamp image on the left hand corner making the front of the plane face the edge of the paper. 3. Now take a sheet from the collection that has the small banner images and cut out four and place them next to each other to form a banner place it down with foam glue dots. 4. Take a marker of choice - I chose a blue one to draw lines to connect all banners. 5. Now cut out two border images from one of the sheets that measure 6’’ long and place across the bottom of card. 6. Take the dimensional sticker that has Welcome Home and place on the lower bottom right hand corner. 7. For the inside of card cut out a 5 ½ x 5 ½ paper from the collection and ink edges with Sweetheart inker in brown and glue inside. Fun ideas! Very well put together!